Manufacturing companies are always looking for ways to improve products before going to market. Often their objectives include eliminating reworks, reducing the need for costly prototypes and reducing development costs? Simulation technology such as Computational Fluid Dynamics (CFD) analysis or Finite Element Analysis (FEA), offers the solution to address these design challenges. How can these simulation services help? CFD software analyzes fluid-flow and heat-transfer designs, allowing engineers to determine how a design will perform under real-world conditions and to highlight opportunities for optimization ahead of time, thereby reducing risks and avoiding costly warranty problems. 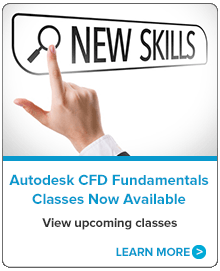 FEA is a computational method of optimizing structural design, which digitally analyzes materials or objects to determine the effects of real-world stresses such as vibration, heat, fluid flow, and other applied forces to identify points of weakness, allowing engineers to optimize overall performance goals without sacrificing size, cost, or aesthetics. 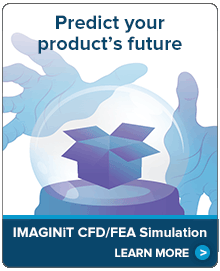 IMAGINiT offers CFD analysis and FEA simulation services, training, software and support. Our collaborative consulting approach helps clients make confident design decisions, identify problems before products go to market and create robust, reliable designs. When you partner with IMAGINiT, the analysis process is handled by our analysis experts, while the design process is left to your design experts. Sharing core competencies encourages continuous collaboration and bi-directional flow of information which ensures that all design guidance and ideas exchanged fit within your constraints for timing, cost and manufacturability. KJWW Uses CFD Analysis to Improve Working Conditions.